Tanfield Vachell was the only surviving son of John Vachell of Warfield - third son of Walter Vachell of Sulhamstead Bannister - and his wife, Mary, daughter of Clement Vincent of Peckleton in Leicestershire. He was named after the family of Anne, daughter of Robert Tanfield of Gayton in Northamptonshire - who had married his grandfather’s brother, Francis - and was baptised there on 27th December 1602. This couple had an only (surviving) son, Thomas, also baptised at Gayton on 10th July 1605. Thomas and Tanfield went to Oxford together: Tanfield taking his BA from Exeter College in 1622 and Thomas from Brasenose in 1625. In 1633, the eldest of the grandfather Walter's three sons, Sir Thomas Vachell of Coley Park - in whom all the Vachell estates had been concentrated - began to despair of having anyone of his name and blood to inherit his manors. He had married three times and yet begot no issue, and his nephews and cousins showed little sign of marrying, let alone producing an heir. Sir Thomas approached his young cousin and namesake, to prevail upon him to marry, but he refused. He thereupon applied himself to his nephew, Tanfield, who agreed to comply, and married Anne, daughter of Mary Cox, widow of Richard Cox, an alderman of London. In return, Sir Thomas settled a large part of his estates upon his nephew. After the uncle’s death in 1638, Tanfield became influenced by the second marriage of his widow, Lady Letitia Vachell, to the famous John Hampden, and espoused the cause of Parliament during the Civil War. Lady Vachell continued to live at Coley, whilst Tanfield rented her grandfather's old Reading home at Abbey House. 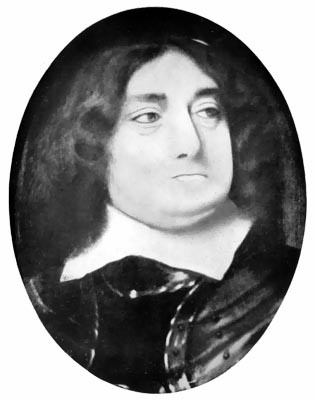 There is an entry, of 1st November 1642, in England's memorable accidents, thus: "Oneale the Sergeant to Count Robert, sent a letter to Mr. Vachell the High Sheriff of Berkshire, commanding him in the King's name to raise the power of that county to conduct the King through it, but he stayed the messenger and refused to obey it, doubting lest by that will the Train Bands might be disarmed as in other counties they have bin. Reading in Berkshire is well fortified but they want Ordinance which long before this time they might have obtained had not the love of their money hindered it, which neglect they may chance woefully to lament should they happen to be plundered." There is a short further note: "It is reported that the Malignants in Reading have plundered the well affected amongst them and that the great ones in the town fetched the King with his army in thither with much pomp and ringing of bells." Tanfield Vachell became Member of Parliament for Reading in 1645. His disputed election is dealt with at great length in Man's History of that town. Beyond sitting on various committees for the Parliament, he does not seem to have taken any active part in the affairs of those times, but to have devoted himself to the collection of rare pictures, books and curios. In this he was probably assisted by Sir Peter Lely, by whom he was painted. Unfortunately, Tanfield’s wife died childless in 1651 and was buried in the chancel of St. Mary Woolnoth in London. In the following year, he married Rebecca, daughter of Sir William Leman, bt, Parliament’s Treasurer of War. She survived him, but he had no issue by either wife, and the Coley estate passed, upon his death in 1658, to Thomas, the sixteen-year-old son of his old companion at Oxford. By his will, Tanfield gave the use of all his "several paintings and books of print, [his] collection of medals in gold, silver and brass; all [his] ware, turnings of ivory and guyacombe with [his] presse of bookes and [his] chest of drawers with the perspective in it, to his wife for life, and failing issue to the son of his kinsman, Thomas. That by God's blessing they may remain as an heirloom to such person and persons as should inherit his manors and lands in the said county of Berkshire whom he desired might prove lovers of learning, Ingenuity of Arts." A codicil executed in his last sickness, led to about fifteen years' litigation between his widow and his heir, and eventually, after calling in the Lord Chief Justice and the Lord Chief Baron and various civilians, the case was decided in favour of his heir. It is still a leading case — Vachell v. Leman. Tanfield Vachell was buried in St. Mary's Church in Reading on 1st June 1658. The funeral conducted by the heralds does not appear to be reported, but from its cost, £403, in the money of those days, it must have been one of some importance.